The SYSTEM 8 Advanced Matrix Scanner is the latest addition to the SYSTEM 8 range and offers new and unique features for the testing and diagnostics of components under power-off conditions. Using a novel approach to V/I signature testing, the SYSTEM 8 AMS increases test coverage by varying the frequency of the test signal to observe the DUT's (Device Under Test) response over a frequency range. This can lead to finding faults not detectable with other instruments. 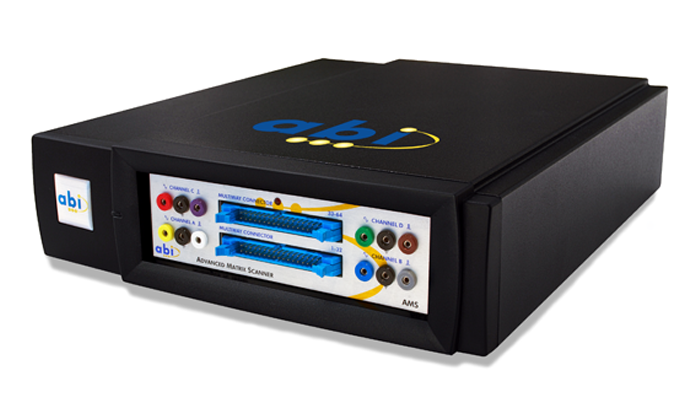 The AMS also benefits from 64 channels to speed up acquisition and to test high pin count devices as well as complete PCBs. Single channels can also be used for local analysis. Thanks to configurable pulse outputs, dynamic tests can be run on gate-activated devices (triacs, transistors, SCRs etc...) with no power applied to the board.